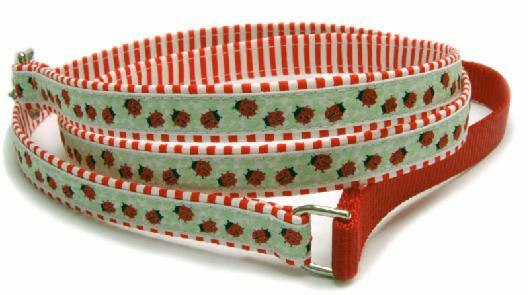 This collection provides two looks with ribbon/fabric on the front and fabric on the back. 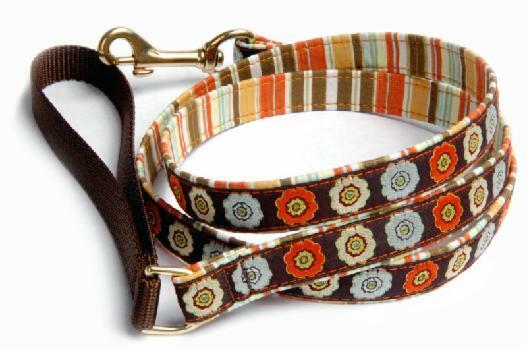 Eliminating the unappealing solid back side on leash. 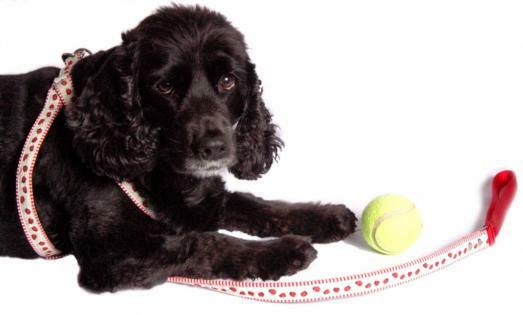 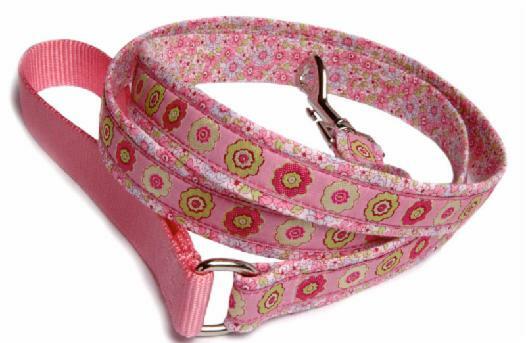 Leash has a comfortable nylon webbing soft handle in coordinating pastel, bright or basic solid colors. 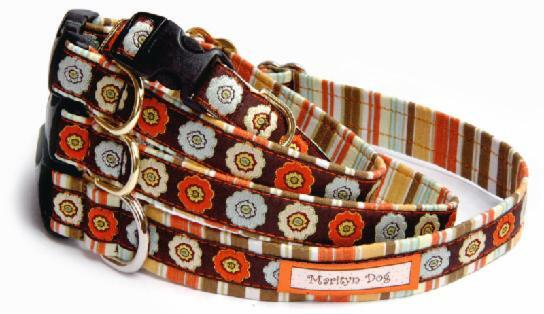 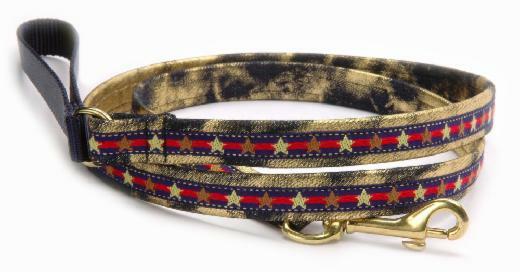 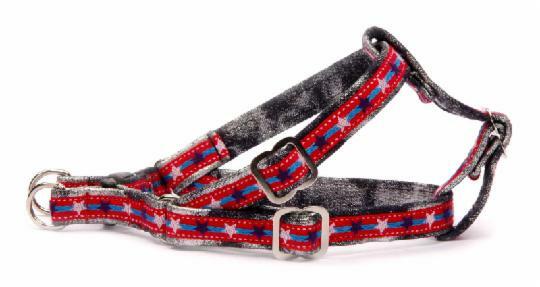 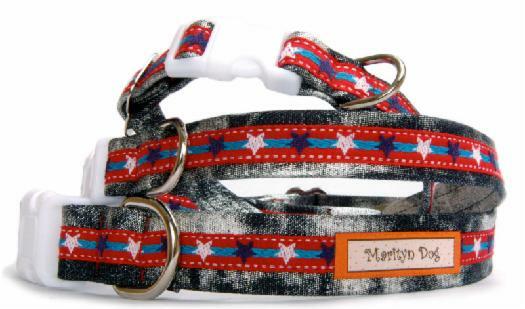 Collars and Harnesses are made of soft yet durable webbing, wrapped by cotton fabric and ribbon. 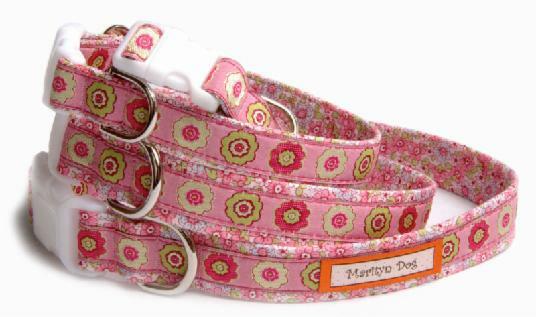 Edge of these collars and harnesses are very soft and smooth against dogs neck and body. 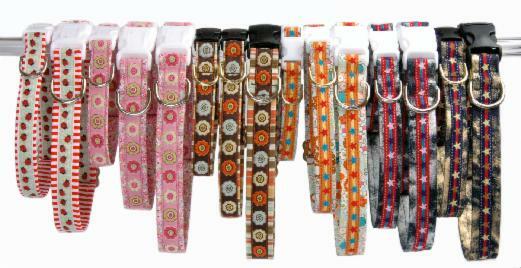 They are perfect for short haired dogs and dogs with sensitive skin. 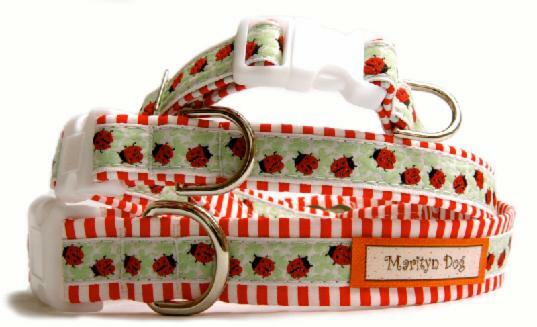 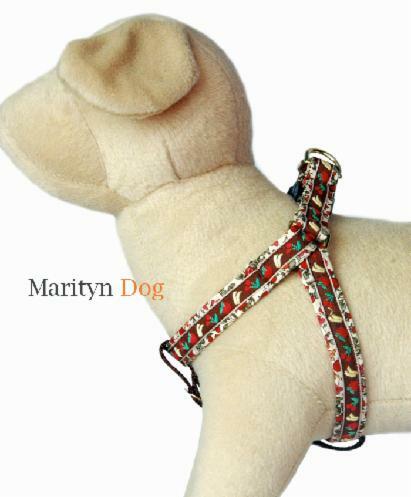 Double-faced collections are Marityn Dog's original and one of the kind products for dog owners who care about their dog's well being and fashion forward doggies! 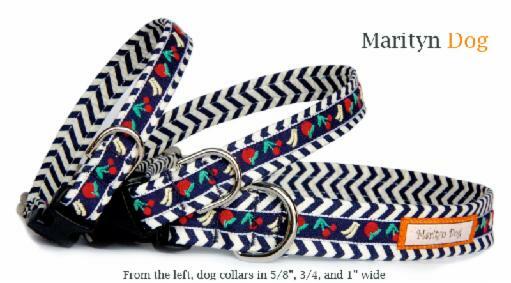 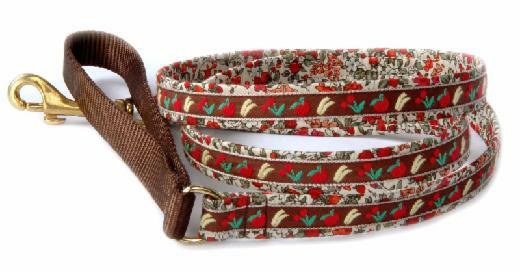 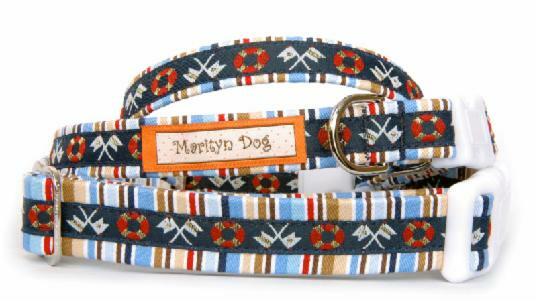 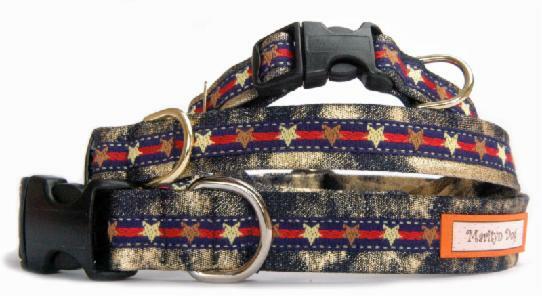 Fruit basket navy collars, leashes and harnesses are sold out. 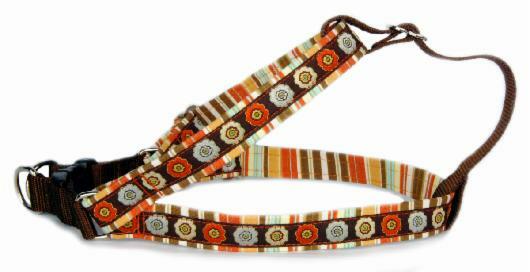 Width 5/8" 5/8" or 3/4"